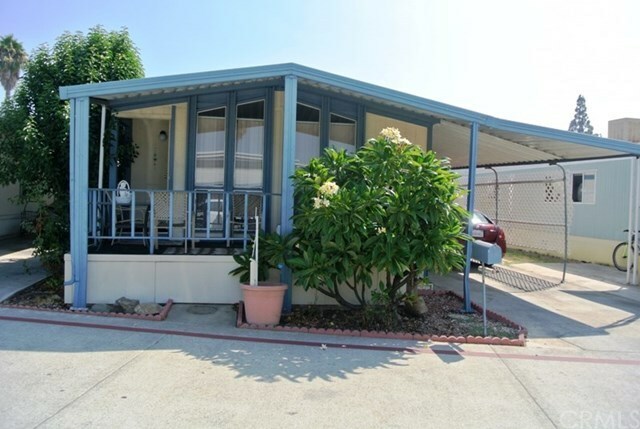 Nestled in the quiet family park of Tustin Village, this 1983 Golden West Somerset (about 960 s.f.) features 2 bedrooms, 1 bath, big family room, nice dining room and kitchen with lots of counters and cabinet space. Service area accommodates full-size washer and dryer. Large master bedroom with attached master bathroom and good sized 2nd bedroom. This comfortable home also features a large porch, 3 car carport with 2 storage sheds. Tustin Village is close to shopping centers, schools and highways. Serial No. GW20CALSM6913A/B.